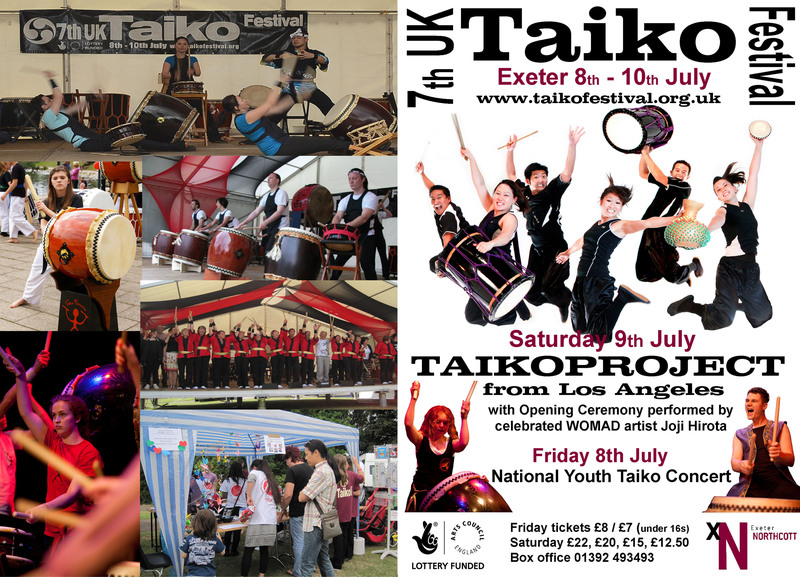 Daytime, Northernhay Gardens: Taiko in the Park, featuring: Huish Taiko, Kaikyo, Kagemusha Taiko Group, Kaminari Taiko (UK), Oku Nojo Daiko, Taiko Evolution, Tamashii School of Taiko, Tano Taiko, Wirral Traiko Dragon Drummers. A 6-minute highlights video from the daytime performances in Northernhay Gardens, in the centre of Exeter. Stepping Stones by Oliver Kirby formed the basis of the finale of the Youth Taiko Concert this year. See also: 1st UKTF; 2nd UKTF; 3rd UKTF; 4th UKTF; 5th UKTF; 6th UKTF; 8th UKTF; 9th UKTF; 10th UKTF; 11th UKTF; 12th UKTF.